FUN for everyone… that’s totesport Family Day at Ayr Racecourse on Sunday 6 July when not only will there be some very special visitors from the RAF but also a personal appearance from children’s entertainer Magic Malky. There’s a bouncy castle, bucking bronco, inflatable sumo wrestling, beat the goalie, pony rides, face painting and fun fair rides. And the great news is that all children under 16 accompanied by an adult gain free admission to the course. The RAF will be out in force during the day as part of its 90th anniversary celebrations. 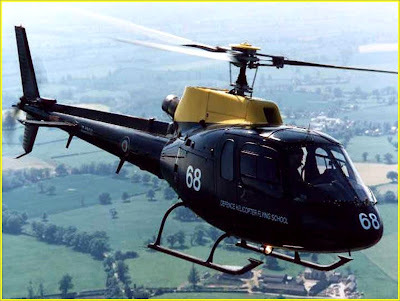 There will be a static display of helicopters featuring a Griffin, Gazelle and Squirrel (pictured above), a display from HMS Gannet’s search and rescue team and a field hospital unit plus many more interesting displays. Away from the military action Magic Malky will provide his own special brand of entertainment in the Ayrshire Suite from 12.30pm when he will be performing his award winning Magic Show, at 1.30pm he will be back on stage with his Punch & Judy Show and at 2.30pm Malky will host a Game Show, with another Magic Show at 3.30pm and a Talent Show at 4.00pm. And in addition to all the off-course fun there’s the small matter of seven competitive races with the feature race, The Campbeltown Bar Stewart Scott Memorial Handicap over a mile at 4.50pm. Racing gets under way at 2.20pm with the Bet totepool On All UK Racing Handicap over six furlongs while the final action of the day is The WaterAid Ladies Night 9 August Amateur Riders Handicap over five furlongs at 5.20pm. Ayr Racecourse marketing manager Lindsey Smith said: “This should be our best ever Family Day, and we are indebted to the RAF for coming along and bringing so much with them. The static display of helicopters looks like being the busiest place on the racecourse. Special Family Grandstand tickets are on sale for £19.50 and entitle two adults and four children to entry and these can be booked in advance on www.ayr-racecourse.co.uk or 0870-8505666. There are currently 282 Ayrshire business stories permanently archived on this site. To locate those of most interest to you, please use the site search facility in the top left hand corner of this page. Type your search term in the white box, then click “SEARCH BLOG”.